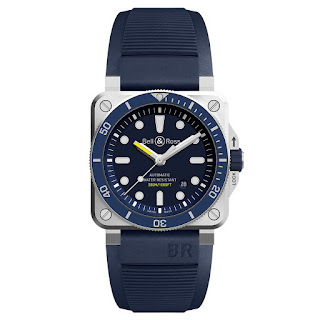 B&R’s square diver has turned blue for 2018! 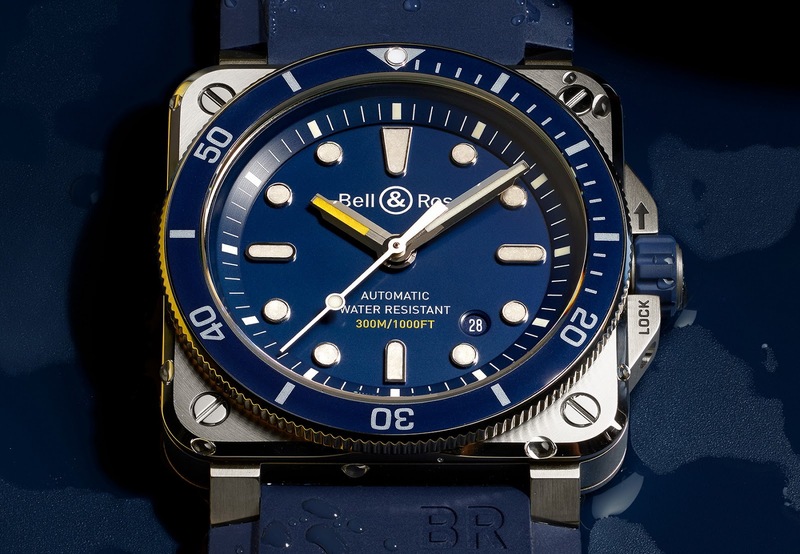 After its initial release last year, some 20 years after the brand’s debut dive watch, the 11000M oil-filled Hydromax, the BR03-92 was warmly greeted as it replaced the somewhat tired and dated BR02. However it lacked any family members to keep it company – there was steel with a black bezel and dial and that was it. Now this quirky yet stylish diver has two new siblings for 2018, another Stainless steel edition sporting a lovely blue dial and bezel and a CuSn8 BRONZE edition. 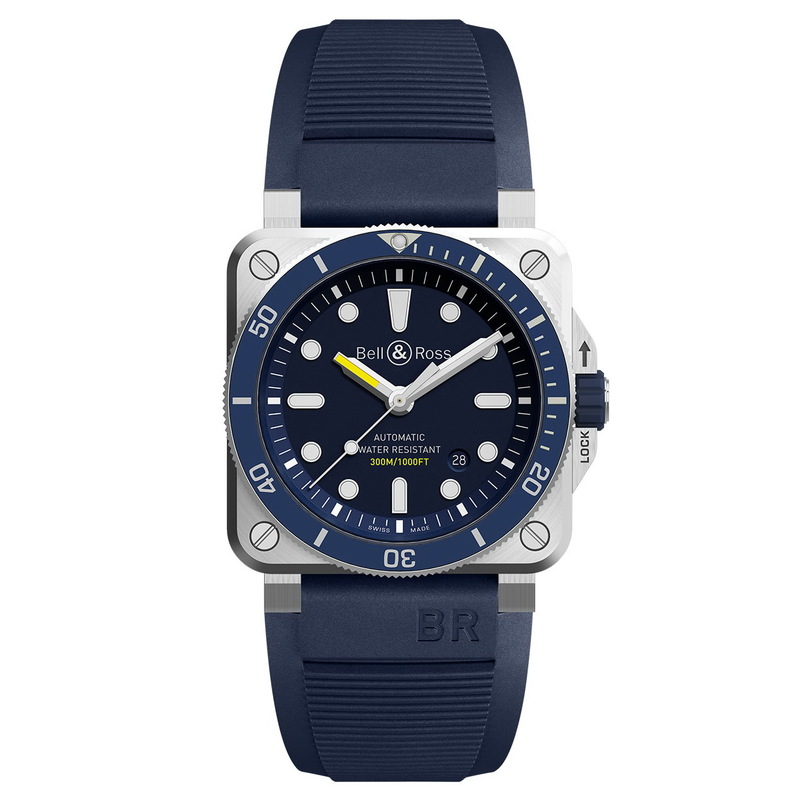 With a divers bezel, luminescent markers; anti-shock and anti-magnetic protection, the BR03-92 Diver Blue meets ISO 6425 standards for diver’s watches and even exceeds them with its 300 meters of water-resistance. 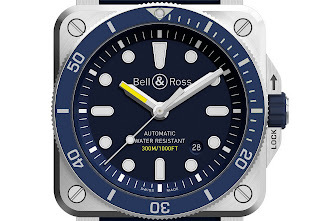 Job well done; however my only gripe is its use of aluminum for its bezel inlay – imo, if it isn’t ceramic or Sapphire it’s outdated.